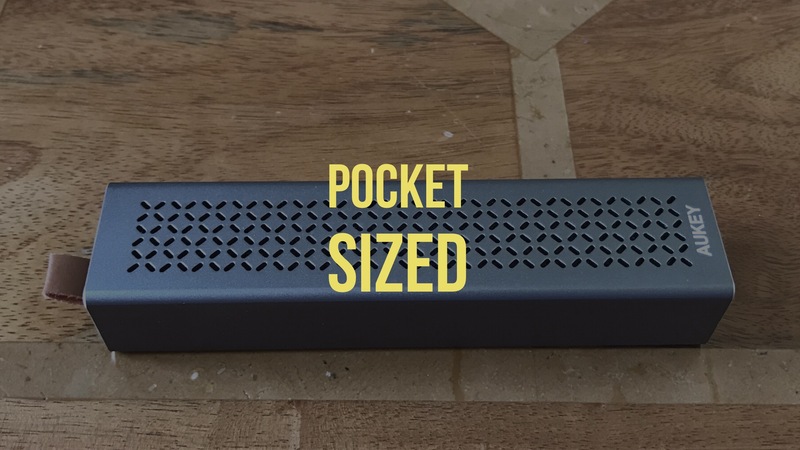 The Aukey Portable Pocket Bluetooth Speaker Review. – Compact, easy-to-grip aluminum Bluetooth speaker bar with dual 3W drivers and subwoofer. Small enough to fit in your pocket. – Minimalist small sized design with one button to turn on the speaker and instantly initiate pairing. – One piece of carefully crafted aluminum with crisscross-cut speaker grill and soft rubber ends.